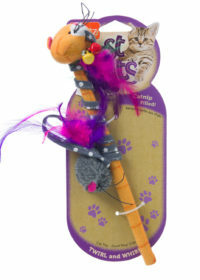 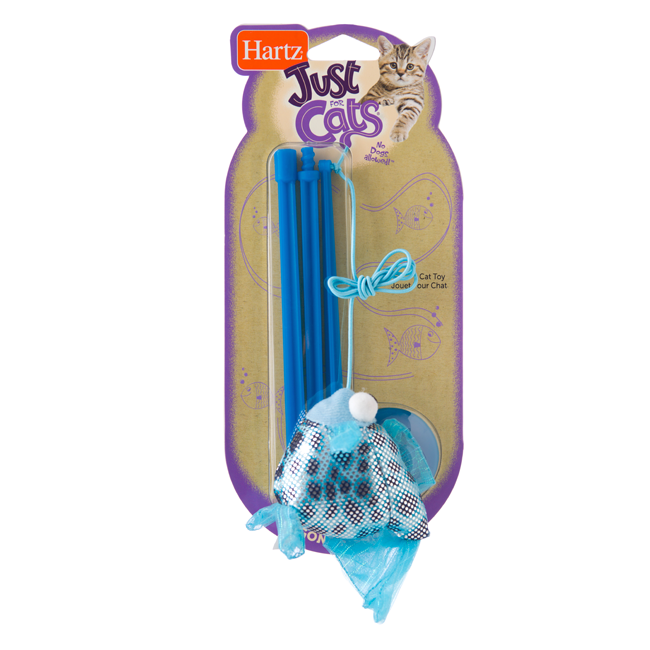 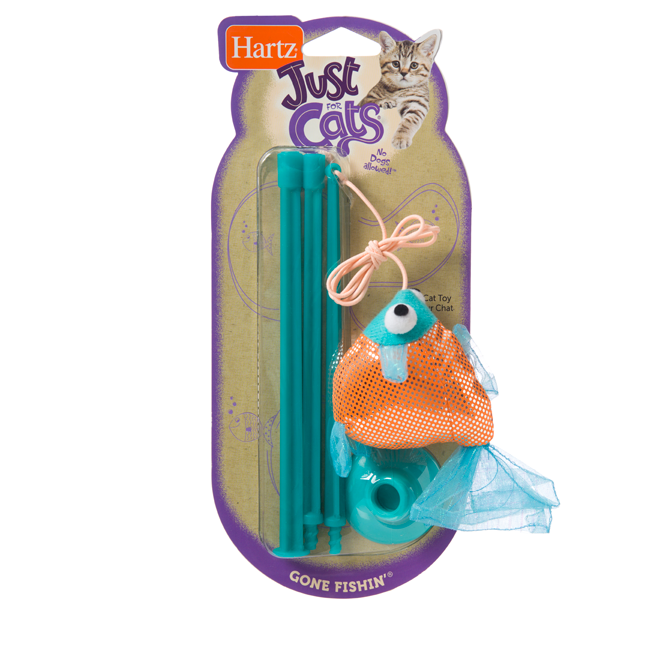 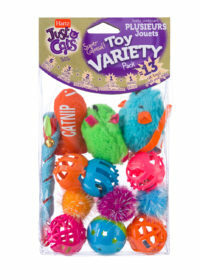 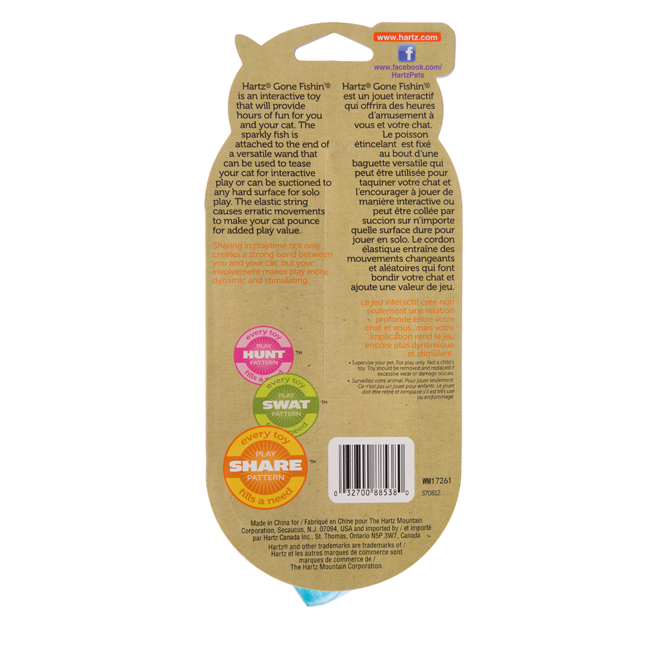 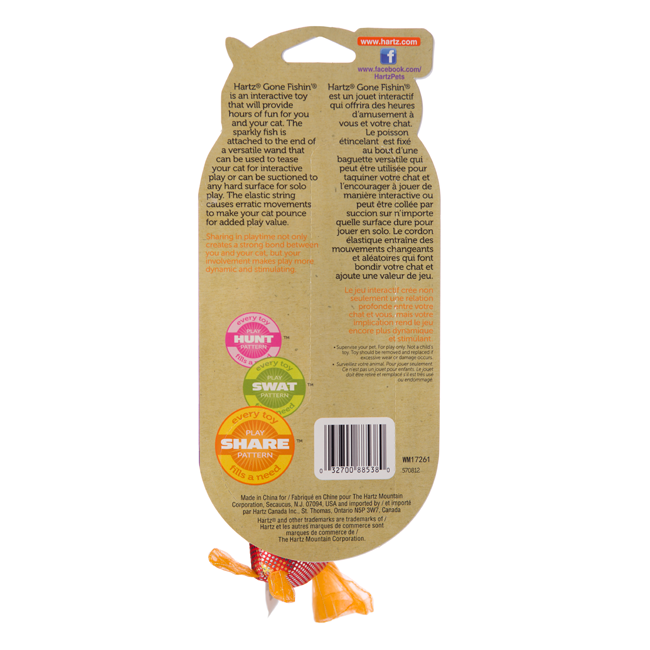 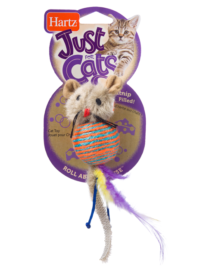 Bait your hook and drop a line with the Hartz Gone Fishin’ interactive cat toy wand. 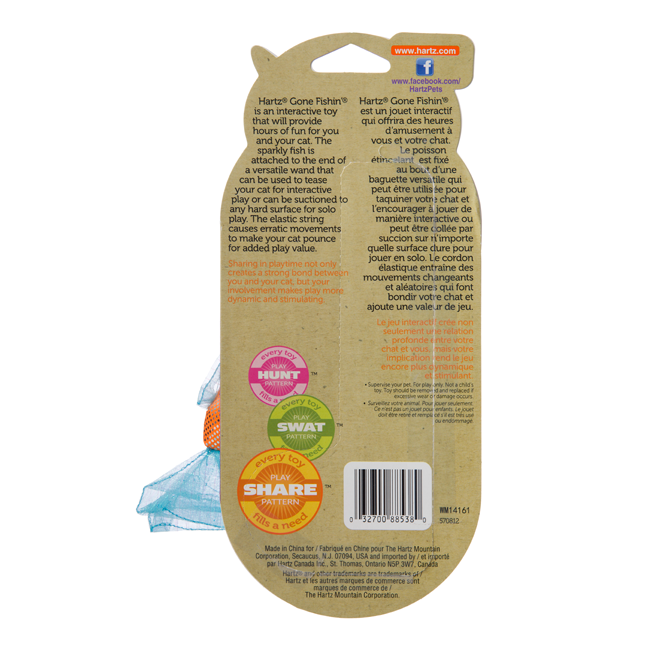 Get ready to tackle a subaquatic swimmer that’s sure to become one of the greatest fishing stories ever told. 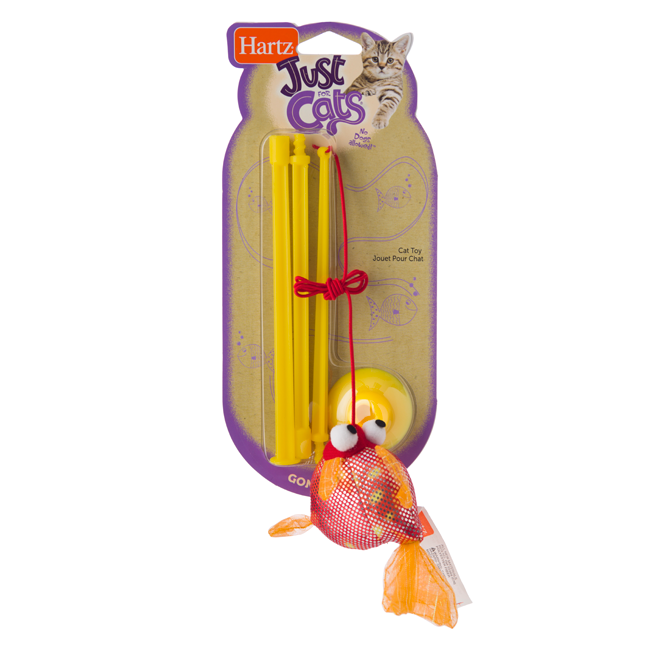 A sparkly, plush fish is attached to the end of a versatile wand that can be used to tease your cat for one-on-one play, or suctioned to most hard surfaces for solo fun. 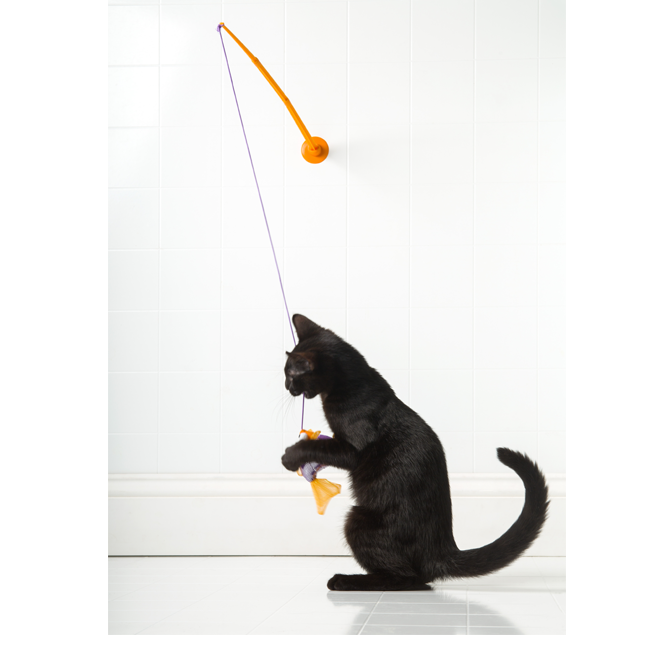 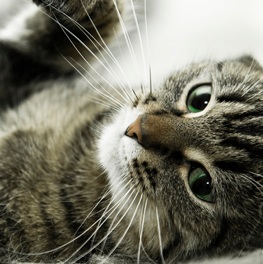 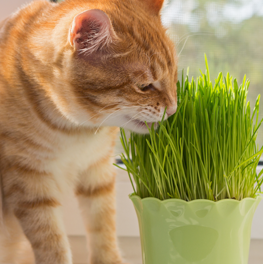 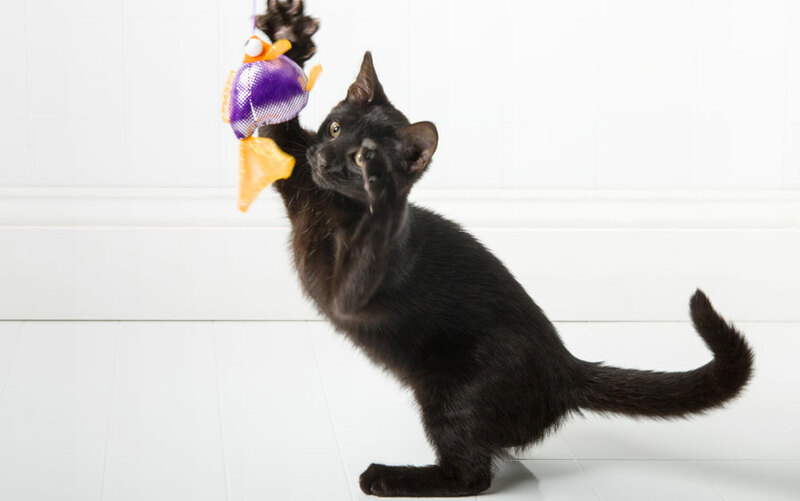 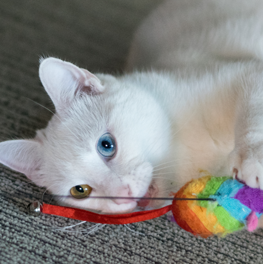 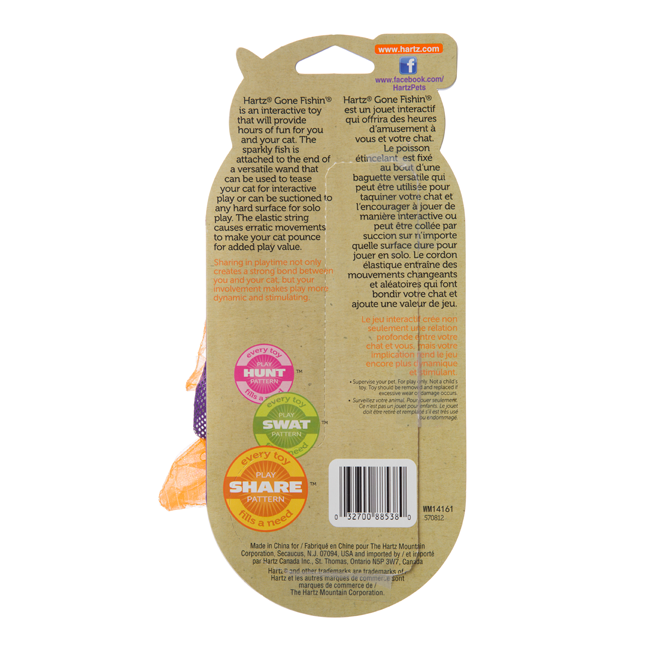 The elastic string causes erratic movement to hold your cat’s attention and keeps them coming back for more pawsome action. 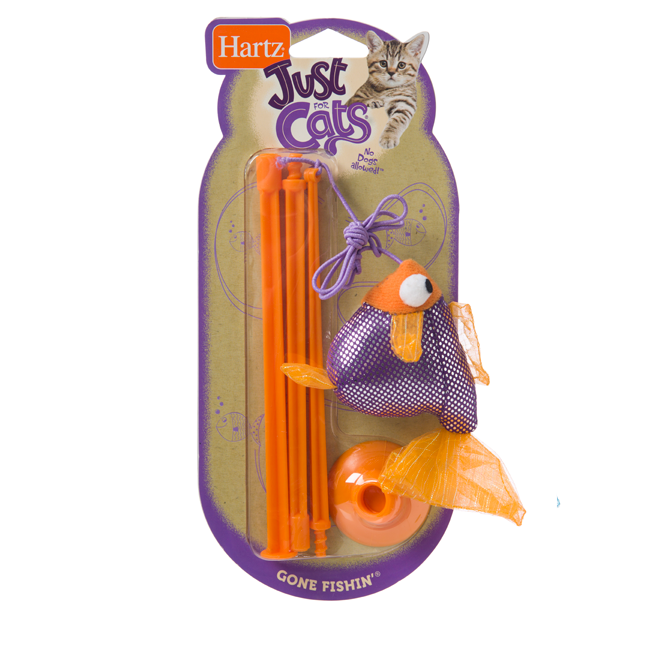 Simply dangle the bait, and even the most inactive furry fisherman will be up on all paws ready to swat and stalk.